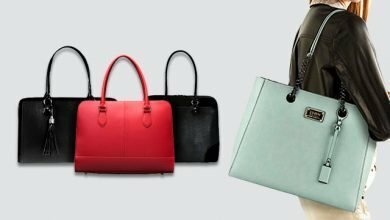 Looking for the best bags to fit your 17” laptop – truth to say, it’s not a hard task at all but surely time taking that not everyone is ready to spend hours and hours wandering around many stores or shopping websites. However, as our laptop isn’t a cheap thing, it’s essential to invest on a good laptop bag and also the one that fits your purpose of use, preference and demands. 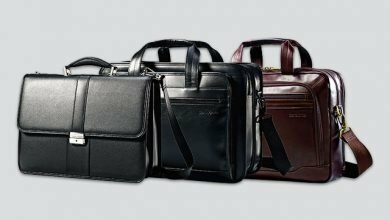 So, is there a way to enable to pick the best laptop bag without wasting time? Yes! 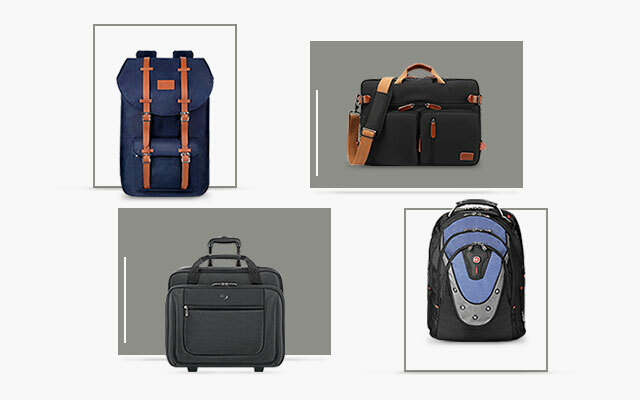 Take a look at this article – here – I’ve round up to the top must-try 17-inch laptop bags in various design, capacity, material and construction to fit different purposes of use. Don’t miss out! Speaking of AmazonBasics, their 4 top-satisfying features to me are always highly competitive price, high quality, various options (maybe sizes or colors or even both) and reliable warranty. No doubt that their products are always on top and favorited my most customers. To be fair, their biggest disadvantage is less designs. I mean most of their products have tendency to focus more on function than aesthetics. 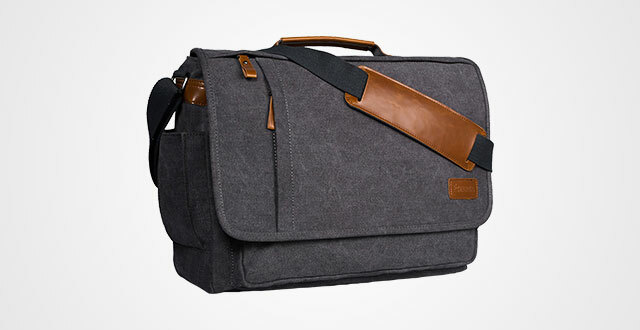 A typical example is this laptop bag for men. 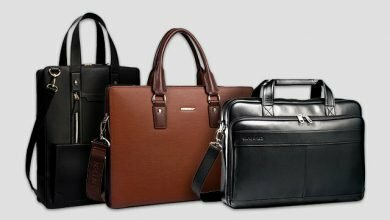 It comes in a basic outlook of ordinary bags for office men, which might be the best choice for those who expect something fit for a fashionista. However, it strikes back with really various sizes including 7-10 inches, 11.6 inches, 14 inches, 15.6 inches and 17.3 inches. Also, there are two configurations: with or without a wireless mouse. So, I believe you will pick up the best size fit your laptop from this bunch. 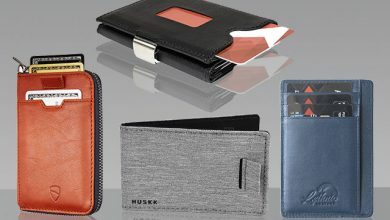 Besides, it’s roomy and streamline with some compartments, from big to small to surely fit your specific stuff like iPhone, iPad, wallet, pen, mouse, laptop, folders, notebooks. Don’t worry about the material, it’s superbly high quality and well-made with tight stitches, strong seam and durable zipper to serve you for years. Last but not least, there’s a detachable and removable shoulder bag and two handles so you can carry in many different ways. However, if you want more extra closure pocket for heavier load, still, remain a good organization inside your laptop bag for easy access, this Lifewit might be your perfect buddy. Though there are only two size options: 15.6 inches and 17.3 inches, this model strikes back with its various additional pockets. It has a super large zippered compartment in the middle consisting of one separate sleeve with moderately thick padding and Velcro strap for laptop alongside with two smaller compartments for wallet and iPad. In the rest, it’s enough to carry some clothes, umbrella, books, folders, headphone, bottle of water, etc. Importantly, there’re more. Going outside, it has 4 more extra pockets that are either zippered or used Velcro strap – very closure and secure. Particularly, it’s made out of waterproof material to bear any downfalls without no matter at all. Going backwards, there is another large zip-around compartment where there’s one more laptop sleeve with Velcro strap, 2 specialized compartments for iPad and iPhone as well as some pen slots and a key chain. Bonus: a side pocket fitting perfect a bottle of water. 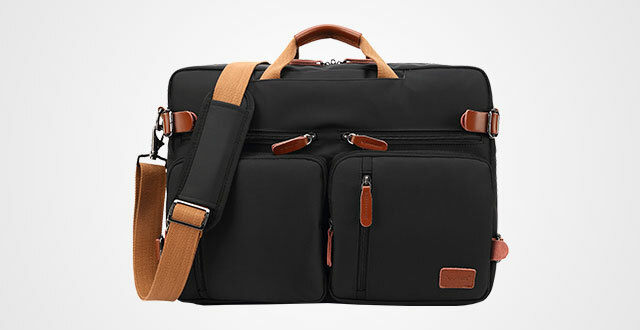 In general, this laptop bag for men is the best choice for those who are usually on business trips. 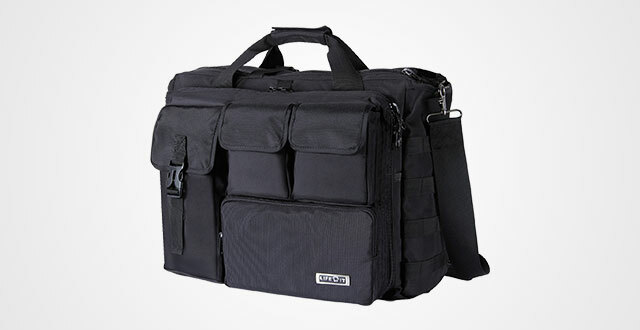 You can pack a-day trip or some-day trip inside this spacious 17.3 inch laptop bag. There’s always enough space for everything, from big to small, and on top of that, your stuff is well-organized and secure. Though such all-black typical bags are perfect for office men or businessmen, they seem a little bit out of fashion and too boring. So, are you looking for some more stylish designs? Take a look at my very first suggestion! 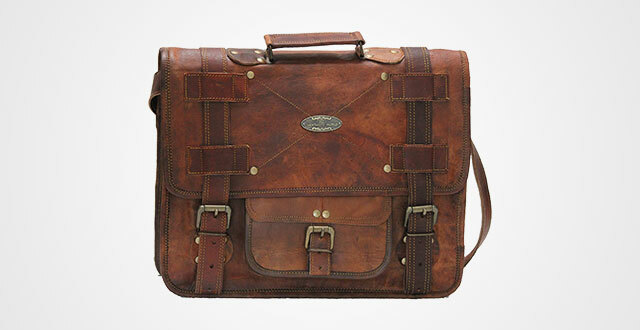 This is a handmade 17-inch laptop bag made out of genuine goat leather and canvas lining. Both kinds of materials are high-quality, sturdy and durable enough to assertedly last for years. But more than that, it comes in a perfect compromise of design and function. Differ from the typical 17-inch laptop messenger bag above, this one arrives in a classic outlook with unique leather texture, some moderate decorative details and an elegant brand logo in the front. No doubt, it’s outstanding and also versatile to be either a business or college messenger bag for both men women. There are three size choices: 11” x 15”, 12” x 16” and 13” x 18”. Whichever you opt for, it comes in the same constructions: 1 roomy major compartment including 2 zippered inner pockets and 1 front pouch. Can’t deny that this laptop bag provides much humbler capacity than two designs above, but for a day pack or daily use for school, work or hanging out, it’s the very first one to think about. Now, as this is a genuine leather bag, I know that many people wonder if it gets wet, right? My answer is no. I’d ask the manufacturer; they said that this 17 inch leather laptop bag had never gotten wet. So, feel ease to try, guys! Now guys, how about a laptop messenger bag, but also a convertible backpack and a hand carrying bag? Are you wishing for that truly versatile model? Then, pick this! It’s a multi-functional rucksack from CoolBELL that obviously, thanks to their various color options, you surely enable to pick the most favorite tone for your closet. Just take a small notice on the material, as along with a specific color, its material might be different. For example, while the black is made out of real leather, the coffee and the gray are canvas. I was surprised by the way they design the shoulder straps for the backpack. There’s a pocket to store them when not in use. Besides, the bag itself hides the backpack look pretty well. Another compliment for the handles. They are designed to provide quick grab-and-go function. No matter it’s used as a school bag, an office bag or a travel bag, this CoolBELL is sure to satisfy. Its capacity can fit up 3-day packing for traveling and importantly, the airline lets this bag as well as allow carrying on the plane. There are plenty room to fit many things from your laptop, iPad, books to wallets, smart phones, keys and stuff like that neatly and securely. Though it’s a heavy load, don’t fret, this design won’t strain down on your shoulder thanks to its lightweight material. In generally, this is one of the best 17 inch laptop backpacks you should try! And another of my suggestions is this fashionable canvas laptop bag from Estarer. But why canvas? Because they are much easier to take care of and maintain, unlike genuine leather, especially the luxurious ones, you not only need to spend time on regular maintenance for the bag, but also drop some more pennies on specific caring products as well. I don’t judge if you have time and also a die-hard fan of leather items, however, if your life is busy, consider a canvas model is a should. It arrives in durable texture to perfectly become a daily bag for your EDCs. And particularly, unlike the ordinary canvas materials which easily absorb water and might cause harm to your electronic device, this Estarer won’t be the one. It’s waterproof canvas to bear both snow and heavy rains. Besides, it’s thick and high quality to stand scratches and other outer impact efficiently. Meanwhile, provide good protection to your laptop. Speaking of construction, very neat. It has 2 inner pouches, 2 side pockets, 3 front pockets and 1 rear one to organize your stuff pretty well. You have two options in sizes: one 15.6” and one 17.3”. But kindly take notice that the 17.3” consists of two designs: the buckle straps and the Velcro strap to keep your bag closure. This mostly depends on your preference. If you are a big guy, this large-sized backpack is sure to fit the best. Not just being used for leisure, it’s also perfect for traveling because of its plentiful space and compartments – not only accommodate many things, but also keep them stay streamline. In fact, it’s measured by 20.86 x 5.9 x 10.62 in, with maximum capacity of 19 liters. Not saying that its construction includes 1 spacious compartment, 1 17” laptop sleeve, 1 inner side pocket, and 1 outer zippered pouch. Other than that, there are 4 buckles to not only protect your stuff better, but also bring most stylish look as well. 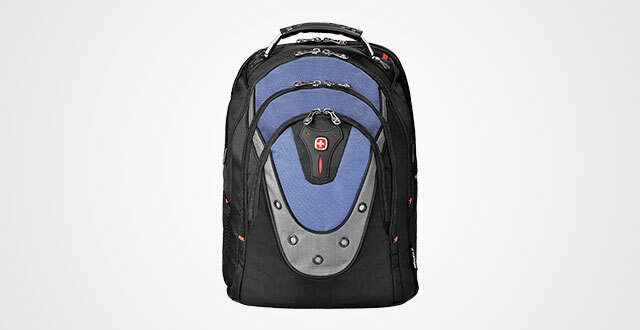 But what impresses me the most is the load it can stand – up to 25 kgs though the bag itself just weights roughly 0.7 kg. Too good to be true! The material, it is high-quality durable as well as wear and tear resistant thanks to the Eco-friendly polyester fiber. It’s time to say goodbyes those days losing your stuff just because of some damn unexpectedly holes in the bottom of your backpack. Big bonus: thick padded shoulder straps to provide enough comfort to your body, even carrying it for a day long. Now, how to deal with if you already have a backpack fitting your 17.3” laptop, HOWEVER, it’s the way too ordinary and lack of security? Easy peasy! 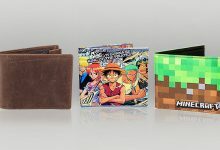 Just looking for a good laptop sleeve, guys. And for those who still have no idea of which one to go for, consider this AmazonBasics! Again, its highly competitive price has beaten up others counterparts in this field. Not saying that, it comes in various colorways and size options. But what I highly appreciate this sleeve is its construction and quality. The padding in both frontside and backside is good, the zipper is sturdy and it fits snugly my MacBook, especially around the corner. Particularly, there’s absolute nothing like slopping top to bottom or slopping side to side. 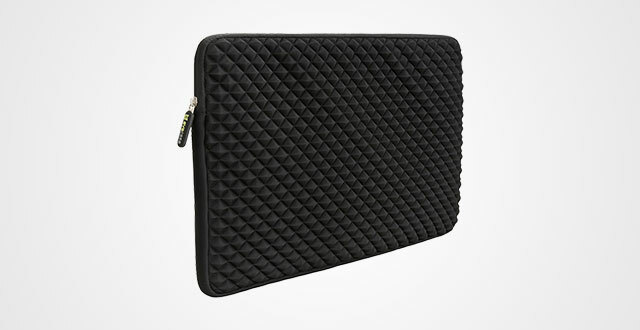 It’s like a well-constructed sleeve made just for my MacBook. But if your laptop is from different brand from me, like XPS, kindly go for a one-size smaller. For example, choose a 11.6” sleeve for 13” XPS Laptop. It fits like a glove without loosing inside. For those who are wondering about its material, it’s neoprene – very durable and security. Thumbs up for this! However, if you usually carry your laptop for class with some other notebooks, like too lazy to pack in a bag, you should invest more on the sleeve, especially upending its ability of security. 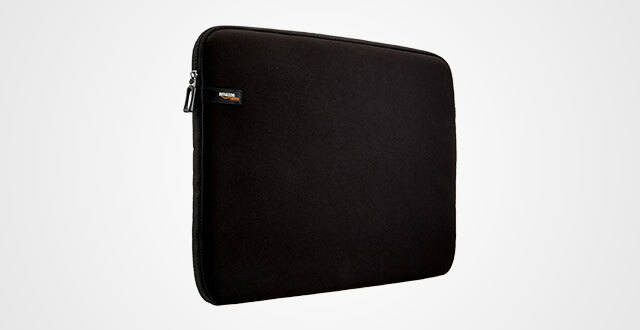 And here’s my recommendation – the 17.3 inch laptop sleeve from Evecase. It’s ridged pyramid design is actually a revolution to deliver better protection to your laptop. (Not saying that there is soft inner lining.) However, this is true to say that you need to tradeoff between better protection and bulkiness as this model is thicker than the plain sleeve. Nice, it can bear any drop, but on the contrary, will get stuck in your backpack. That’s why I only highly recommend to use daily as a single carry to your class. Besides, there’s no room left or extra pocket for other stuff, which I don’t need. However, there’s still another strike-back benefit – its slight water resistance. Obviously, it can’t bear a downpour rain, though. This sleeve works its best in a light rain to keep its content dried perfectly. In terms of dimensions, this sleeve comes in perfect height. In generally, if you need a higher-protection laptop sleeve, consider this OR consult more in my particularly article about the best laptop sleeves here! 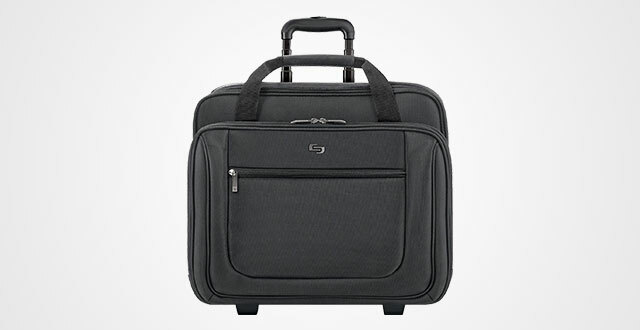 Next up is a laptop case with wheels for those who usually travel around and want an on-the-go professional look. Solo Bryant is my favorite brand as other than their good customer service, the quality in each product is no joke! 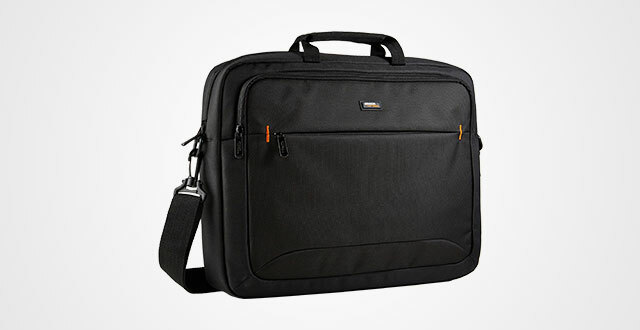 For example, this full-black rolling laptop case – it’s a hell of a bag. From the material, handles to the height, width and inner space, everything is perfect to be with you through plenty of auto travel or air, from over loud tile floors to up and down stairs. First up is the material – canvas, it’s superbly durable and adequate. To prove that, just use a key and rake on the surface of this bag, you’ll see there’s no scratches left at all. However, the feature that actually blow my mind is its handle, really impressed by its unbelievable durability. I usually carry a backpack alongside with this rolling case, and while traveling, I will loop my backpack over this one with some other gear to take advantage of its wheels. But the highlight here is when carrying these two bags up or down stairs, no matter how heavy the backpack looped into the rolling case, its telescope handles still work pretty well. Now, speaking of its convenience. 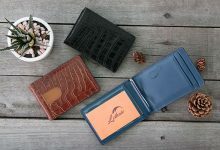 The very first compliment is its dimensions – though large and spacious, the case fits perfectly either in overhead compartment or under the airline seat of any plane. Next is its rubber compound wheels, worry-free to breakage. But kindly keep in mind to avoid dragging it in bad sideways while running fast because chances are that they will cause loud noise when you return to hard floor surfaces. Backpackers, stop looking! This is all what you need! It’s wasteful to be utilized as a daily backpack for work or school because actually, it does bring you more than that. No matter you are going to travel a week or a month abroad, needn’t have it checked at the airport. The material is super lightweight but trust me, it’s incredibly durable. No matter how you abuse it, from stretching, stressing, cramming, tossing and beating in subways, trams and bus, the zippers, material and even the cable handles still ace such bad treating. If you care about your laptop, then don’t. Its sleeve is made out of high-quality material with three layers of shock absorbing foam and a strap enclosed. Speaking of construction, other than any 17.3” laptop, there are still many other roomy compartments for your stuff like clothes, adapters, iPad, glasses, water bottle, umbrella and so on. I’m a little bit in love with its three outer compartments. 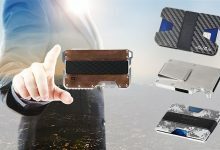 Seems they are small, but they can fit books, travel guide, flashlight, electronic cord and stuff like that as easy as a piece of cake. And did I tell you about its back padding? Gosh, it’s freaking comfortable and breathable. Big bonus, padded shock-absorbing shoulder straps with small convenient mesh pocket for some small changes for example. Also, two mesh pockets on both sides for water bottles or stuff like that. 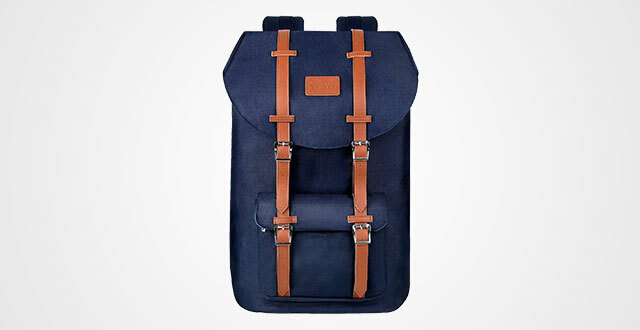 Overall, if you love backpacking travels, don’t miss out this 17-inch laptop backpack! 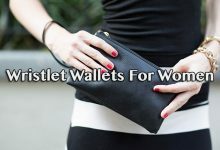 These two models are used more in on-the-go professionals to work, office, business or school. 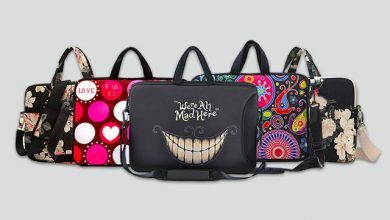 Though they don’t come in as spacious capacity as the rucksack or backpack, these designs are very stylish and fashionable to nail up your style. So, if either you are a businessman or a student, make sure to pick the best one. If you already get one fit yours, don’t miss out this article, it will share you some tips, tricks and guidance to take care and carry your bag in proper way for longer use.